Kelley Farmer and Mythical rode to the top of the $50,000 USHJA International Hunter Derby sponsored by Canadian Pacific. Antioch, IL – September 8, 2013- The beautiful Annali Farm, owned by Rush and Caroline Weeden of Antioch, IL, was the setting for the 2013 Chicago Hunter Derby presented by Chicago Equestrians for a Cause. The event featured the $5,000 USHJA National Hunter Derby presented by ABBA Vet Supply and the $50,000 USHJA International Hunter Derby, and generously sponsored by Canadian Pacific (CP). The proceeds from this unique stand alone event benefit three charities; Ann & Robert H. Lurie Children’s Hospital of Chicago, The United States Hunter Jumper Association Foundation, and the University of Chicago Cancer Research Foundation. The Mill Creek Hunt Club was part of the opening ceremonies. The event is always meticulously prepared with beautiful landscape, amazing jumps, great judges, and excellent hospitality for both riders and spectators. Opening ceremonies built anticipation with the Mill Creek Hunt Club galloping across the field with the hounds howling and the hunting horn blaring. The grassy field was in tiptop shape and the course was classic. Designed by Bobby Murphy of Lexington, KY and the legendary George H. Morris of Wellington, Florida, the course consisted of classic, “back in the day” type jumps such as rock walls, logs, rustic coops and fence lines. “I’ve learned a lot about the history of the sport while designing this course with George,” commented Murphy. “It’s much more difficult to design with George because he has specific specs in mind for the jumps. He makes you really think. You want him to step out and look at the course and say, ‘it’s good’”. Morris wanted a variety of jumps reminiscent of the field hunting days and specifically, four jumps with minimal ground lines, not exceeding 18” from the base of the standard, and were noted as such on the course sheet. There was some history in the course design from the 1700's. Morris not only designed the course but judged as well. Geoff Teall, Steve Wall and Scott Williamson made up the rest of the panel, scoring the horses as they navigated the field and the vintage obstacles. For the handy round, panel 1 was Wall and Teall, panel 2 was Morris and Williamson. Twenty six horses took on the course for Saturday’s classic round and twenty horses returned for Sunday’s handy round. The course for the handy round started in the woods jumping out over the stone wall, then to a coop, across the field on a diagonal to a bending four stride line, rolling back over a beautiful log jump bending through the woods again and out over the stones, continuing up and down the hill, finishing on a white coop or the high option of the white fence line. The last jump proved to be the trouble spot, being a tall vertical at the bottom of a hill, it took its toll on a few of the riders. It was definitely a great venue for Kelley Farmer as she took first on Mythical, second on Skorekeeper, fourth on On Q and sixth on Taken. Jennifer Alfano and Jersey Boy have won the Chicago Derby three times. Jennifer Alfano of Buffalo, NY and Jersey Boy have also been attending the event since it began in 2009. The pair took the third place overall ribbon home this year but also won on this field in 2009, 2010, and 2012. Glefke got the horse a year ago at Lamplight just off the airplane. He knew then he finally had a horse that could do it all. Farmer won both the classic round and the handy round with the mythical horse. Entering the handy round with a seven point lead, they galloped to an 88 plus 7 handy points from panel 1 and a 93 plus 8 handy points from panel 2, with 4 high option points for a handy total of 204 and an overall total of 398 for the win. The event not only featured top-notch horses, but also had something for everyone. Fabulous food and drinks added to the weekend festivities. Activities included a horseless horse show and petting zoo for the kids, shopping at great boutiques for the ladies, and Land Rovers and an RV to peruse for the gentlemen. Fantastic raffle prizes and a Calcutta helped to raise money for the charities. Generous sponsors such as Ann K Hubbards Tack Shop matched the proceeds raised from the raffle and LeFash donated $500, which was earned since Alliy Moyer was wearing a Le Fash shirt in their “Wear it and Win it Challenge” during the National Hunter Derby. 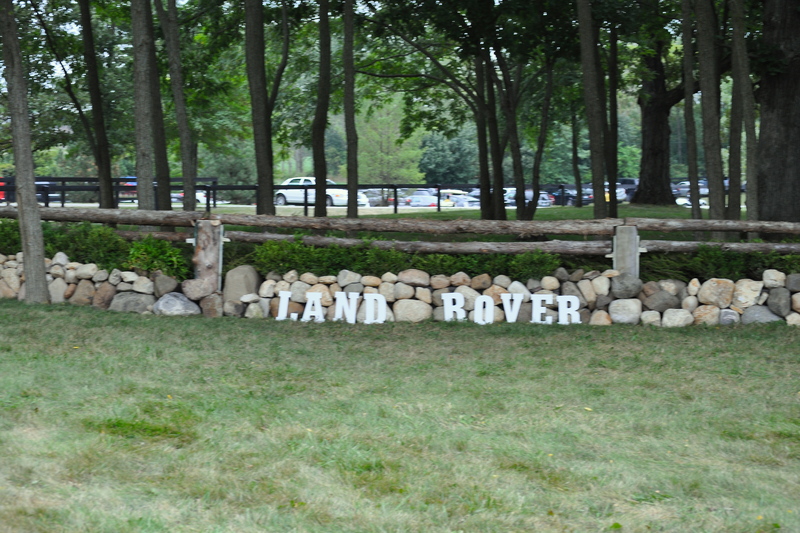 The event also featured a $5,000 USHJA National Hunter Derby. Topping the field of 39 entries was Alliy Moyer, 19, and her horse, Carlson. Second went to five year old In Print, owned by David Glefke and ridden by Taylor Adams. Alliy Moyer and Carlson win the $5,000 USHJA National Hunter Derby. The 2013 Chicago Hunter Derby is one of the most prestigious single events of its kind in the country, raising over $300,000 net for their charities so far, thanks to the generosity of their sponsors. The Derby is presented by Chicago Equestrians for a Cause. The Mission of the group is to showcase high-level equestrian events with the express purpose of raising funds for selected charitable institutions in the Chicago area. For more information please visit www.chicagohunterderby.com.